The City Law School's Professor of European Law and Jean Monnet Professor of EU Law provides evidence on UK progress on reducing F-gas emissions. Professor of European Law and Jean Monnet Professor of EU Law, Professor Panos Koutrakos, was mentioned in a recent report (published on 25th April 2018) of the House of Commons Environmental Audit Committee looking into the reduction of UK F-gas emissions, including the impact Brexit will have on the UK's international agreements in connection with these emissions. 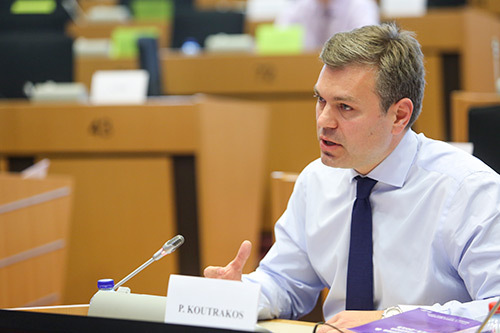 Professor Koutrakos was invited to give evidence to the Committee in December 2017. To read the report, please visit this weblink.